Philippe Halsman was born May 2, 1906, in Riga, Latvia. As a teenager, Halsman began taking photographs and developing the glass plate negatives in his bathroom sink. Twice escaping anti-Semitism, Halsman finally settled in New York City in 1940, where he remained until his death. Halsman married fellow photographer Yvonne Moser who became his lifelong photographic and darkroom assistant. A collaboration with Salvador Dali spanning 30 years resulted in the publication of a book entitled, "Dali's Moustache", featuring Halsman photographs emulating Dali's surrealist style. LIFE magazine first published one of Halsman's photographs on the cover on October 5, 1942. Halsman would go on to produce 100 more covers for LIFE, more than any other photographer. He shot photographs for many other magazines as well, and shot ad photography, including work for Ford Motor Company. One of Halsman's most recognizable tricks, coined "jumpology", was an accidental discovery, put to use when he was out of ideas trying to make a Ford family portrait gel. Jumpology forced Halsman's staunchest subjects to let their guard down, rendering the images lively and vibrant. The list of Philippe Halsman's accomplishments are many; some of the most notable include: publishing numerous books, founding the Famous Photographers School with nine others, being chosen by Popular Photography readers as one of the World's Ten Greatest Photographers, exhibiting at the Smithsonian Photography Gallery, having his photograph of Albert Einstein used on a U.S. postage stamp, teaching at the New School, and receiving the American Society of Magazine Photographers Life Achievement in Photography Award in 1975. Philippe Halsman died in New York City on June 25, 1979. 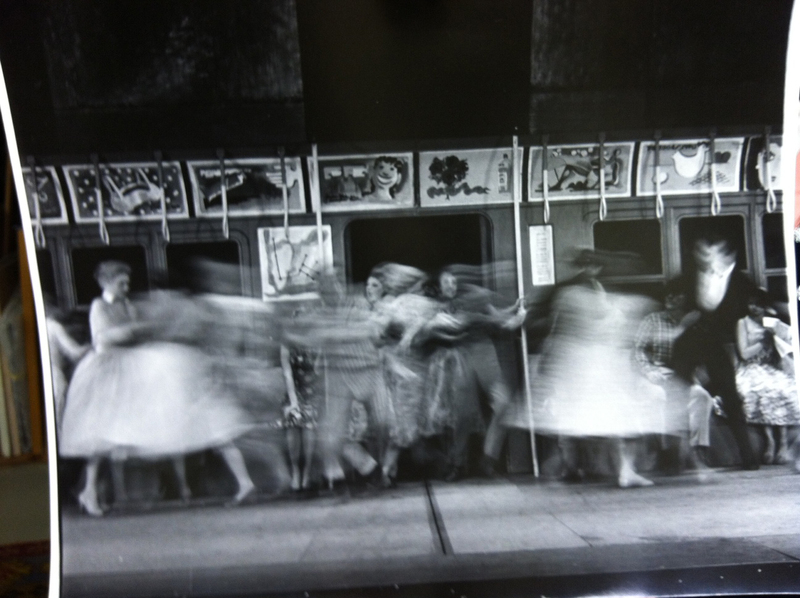 Halsman, Philippe, “Bells Are Ringing Chorus,” Westport Public Schools Digital Collections, accessed April 24, 2019, https://collections.westportps.org/items/show/1567.